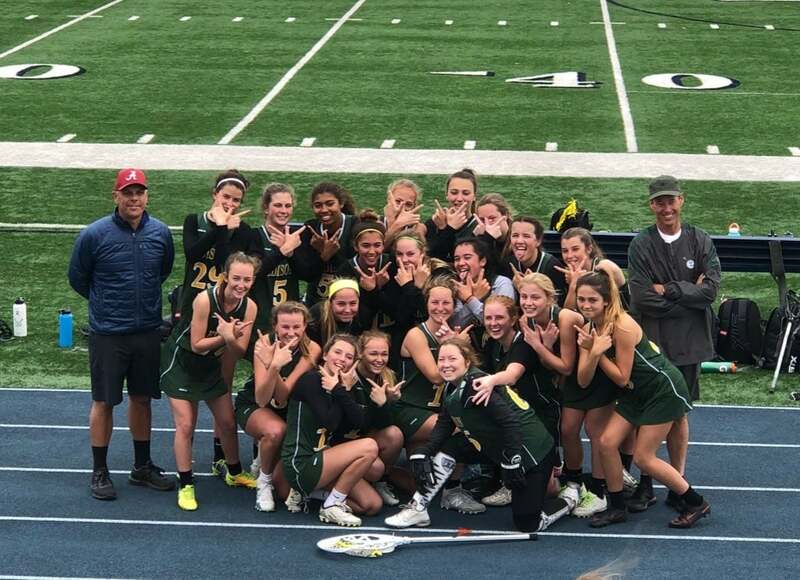 Huntington Beach – The Edison girls lacrosse team played their first home game in program history against Canyon of Anaheim Tuesday night. The Chargers did not disappoint their hometown fans, beating the Comanches 5-3 in a tilt between two new CIF programs. The Chargers (2-0) were led by Lauren Atencio who had two goals while Mia Brixey, Taya Riley and Sarah Boyd each had one goal apiece. The Chargers also got six saves from goalie Olivia Stephens. The Comanches (1-1) were led by Cam Bugg who had two goals while Ali Zebrow had one goal. Trinity De La Cruz made six saves for Canyon. Edison struck early and often as they took a 3-0 lead in the first half and eventually led 5-1 in the second half. The Comanches chipped away at the lead with two straight free position goals, only trailing 5-3 with eight minutes left to go. But the Chargers were able to hang on with that amount of time, as Edison coach Rob Hendrix had Atencio run the clock down by running around in circles on the offensive end.